The key to Keld Chapel is hanging by the front door of the house opposite. It’s that kind of place, if you know what I mean. 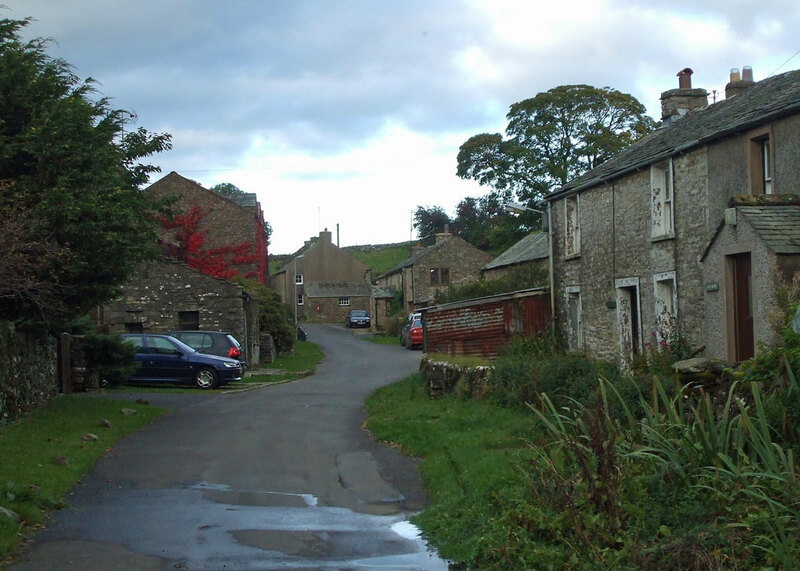 Keld is a tiny Cumbrian hamlet, just outside the straggling village of Shap and a little south east of long abandoned Shap Abbey. Travellers on the M6 will be familiar with Shap Fell – not the kindest place to be driving in bad weather, but offering spectacular views on a clear day. Keld is generally thought to derive from kelda, old Scandinavian for spring, or well. Do not confuse the Cumbrian Keld with the slightly larger North Yorkshire village of the same name about 30 miles to the east. The hamlet was possibly once larger than it is now and may well have existed in Roman times. Back to the chapel; no one knows a great deal about it. It is probably 16th century and thought to be a chantry chapel – set up purely as a place to say masses for departed souls. It was common practice in pre-reformation Roman Catholic Britain for those with enough money to pay a priest or church for masses to be said for them, or their nearest and dearest, and there could be so many of these that there was a danger of prayers for the dead overwhelming a church timetable. Hence, setting up a dedicated chapel was a good plan. 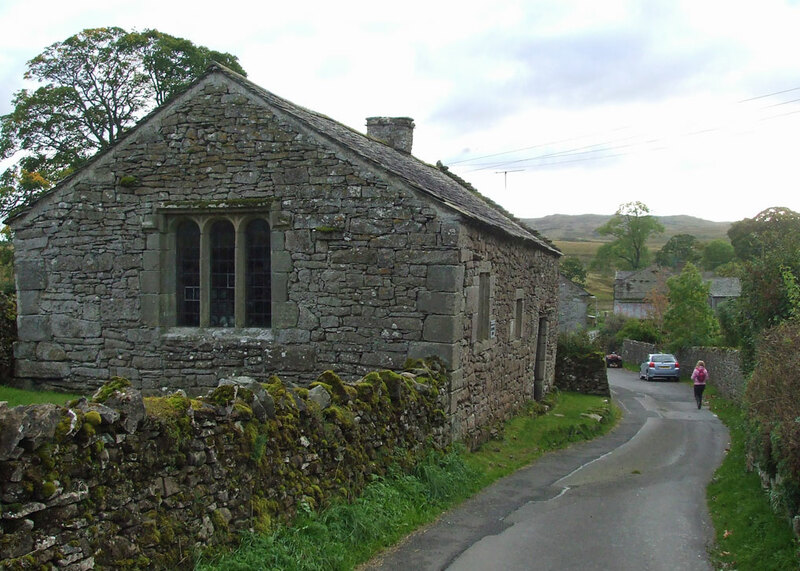 It has been suggested that Keld Chapel was associated with nearby Shap Abbey before the latter was dissolved in 1540 – which would make sense. It has also been suggested that the chapel was set up during the brief reign of Mary Tudor (1553-58), when England had an official, but transitory, re-flirtation with Catholicism. 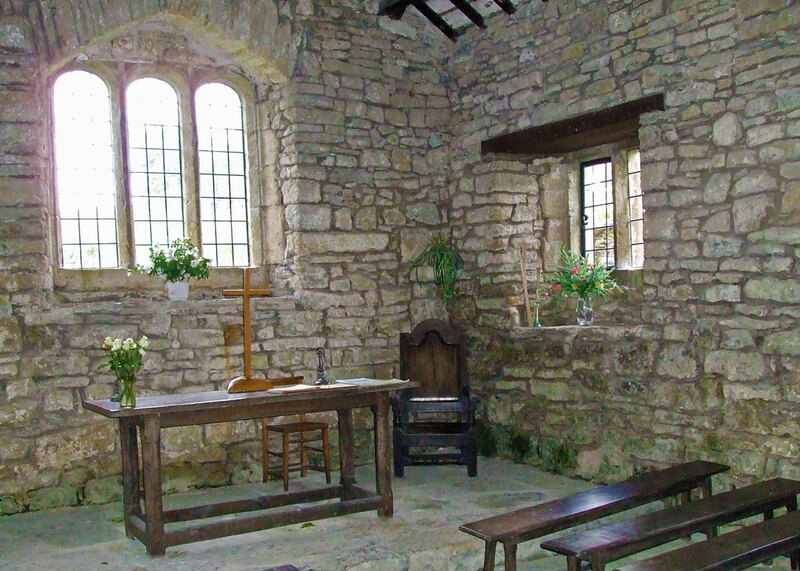 Perhaps, some say, the window over the altar table came from the ruins of Shap Abbey. In short, I can tell you very little of Keld Chapel except that it’s an intriguing and charming place to visit if you happen to be somewhere in this part of north west England and a little off the popular tourist track. 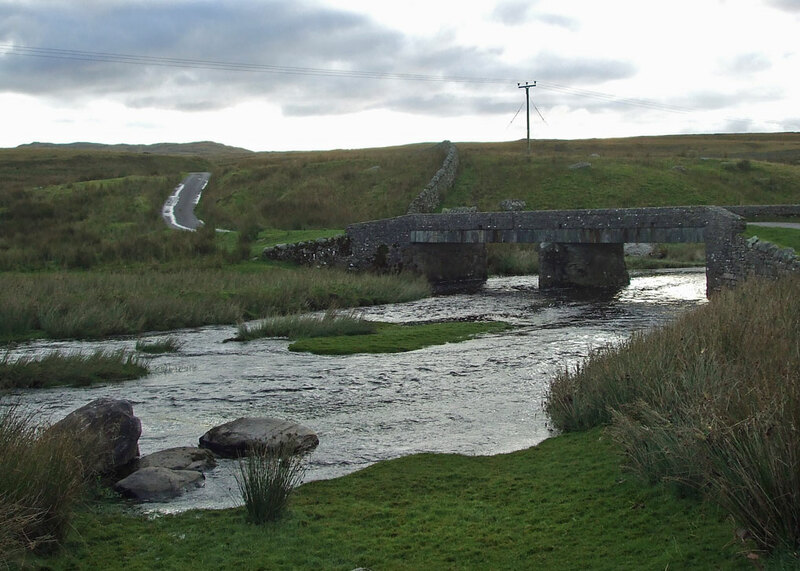 You could combine it with seeing the ruins of nearby Shap Abbey – or just pop in if you feel in need of a ten-minute dose of quirky heritage. The chapel was actually a dwelling for some time – and was also used to house navvies working on the construction of the nearby railway. We almost lost it. In 1917, Lord Lonsdale wanted it demolished because he claimed it obstructed his carriages on their way to his shooting lodge on Rafland Moor. Now, Keld Chapel is in the care of the National Trust; and I’m glad to say there isn’t a useless ornament, tea-towel or over-priced scented candle in sight. The area is beautiful (as are your pictures). Just curious – does it snow there? It certainly does – though normally not as much as some places in the States. This is very interesting. I had no idea there were chapels dedicated to masses for the departed. I love the fieldstone. I assume it would have been local? Yes – lots of rock in that part of the world, and that tends to be what’s used in buildings. Even modern ones tend to be faced with it. Loving this blog that the AtoZ Challenge included. Here is another example of why this blog is a great example of how to do it. Well presented, lovely photography support, short enough to actually take the time to read while hopping from blog to blog. THANK YOU. Thank you – and thank you for dropping in and saying something nice! It looks like a beautiful place to visit. I will put this area on my list for when I travel to Britain. Let me know if you need any help with the itinerary! Thank you for the offer of sharing your knowledge. I will remember to ask when I am actively planning. I’ve often driven past the end of the road on my way to Haweswater and the hills of Mardale and I’ve stopped at Shap Abbey in the past, but not at Keld – I shall have to make an effort. Thanks for the nudge. To be fair, there’s not much to see; but it IS interesting! Mike, so interesting. I love Cumbria, though I haven’t actually seen much of it but the area surrounding Ullswater, the area my mother’s family is from. Generally speaking, roads with “spectacular views” are a bit much for my motion sickness and nerves! It looks like a delightful little chapel. Thanks for that one, Mike. It reminded me of the little church me and the missus were married in back in ’63. Called Turnastone it was across a river (actually little more than a brook) from Vowchurch. Legend has it that someone decided the hamlet needed a church. His (her in some versions) rival said something like ‘Pah! I vow I’ll build a church before you so much as turn a stone’. Hence they ended up with two churches, both of them delightfully simple in appearance. Last time I looked, about 6 years ago, there had been only a handful of marriages in Turnastone church since ours all those years ago. Sounds wonderful, Frank. No, sadly, Herefordshire is currently a little unrepresented – along with other chunks of the country; we’ll get there…adding places to the directory whenever I get the chance! I think I would enjoy a little contemplative respite there. It’s inviting, in its monkish and natural way, tho I wouldn’t be thinking about dear departed souls, more about my connection with Nature. Yes, I’m glad Lonsdale didn’t get his way. No dressing-up box? This looks like a place we would enjoy visiting so I’m adding it to the list! Thanks very much, Mike. Some places are like that: very little is known about them, but you can still quietly absorb their atmosphere even so. How strange that it made it to Chaple status after being a home, and I was all for doing it up to live in – or I would if 40 yrs younger and a job in Penrith. My kind of place! But a bit too far off from my usual Ripon-based holidays, so your blog may well remain the only time I’ll ever get to “visit” Keld Chapel. Looks like you stumbled into the past. Lovely. I so admire how Britain treasures its history. I enjoyed this discovery…may the scented candles never darken its door. At some point I’ve heard of it. It looks like a lovely area! Perhaps some of your past relatives are from nearby Kendal (did you notice that on the map?). Interesting town, Kendal. Famous for mint cake, Wainwright, Romney, Postman Pat, and the fact that Catherine Parr had a castle there (but never visited, apparently). Oh, OK! 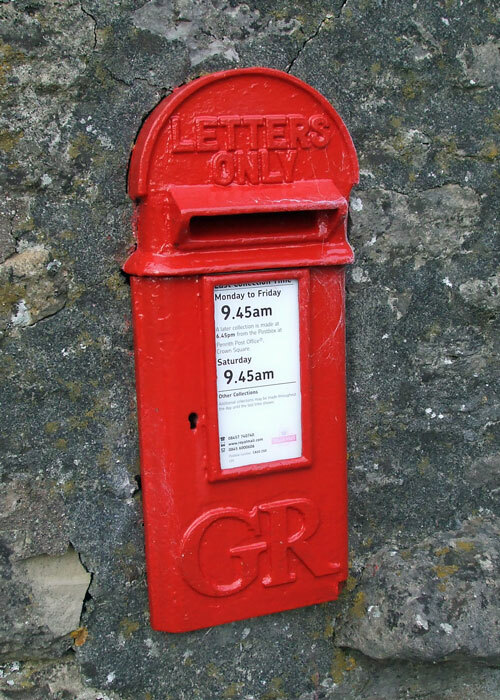 Postman Pat (your humorous post gave me a good giggle) and Catherine Parr, old Henry’s wife, is my limit. The mint cake sounds delish Mike; have you had some! I was hoping for a response from Mr Kendall re some insight into his surname. Oh well! How charming. Love these little out of the way places soaked in history. Well thank goodness Lord Lonsdale was overruled. And good thing you set me straight, for I was already thinking Keld in NYKS. Looks like a very dreary day. Too bad for Lord Lonsdale. 1917 was the later part of the world’s most catastrophic war and he was worried about his hunting parties? Enjoyed this village tour, Mike. Just shows that one needs to get off the motorway now and then.